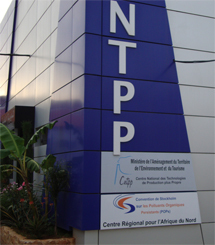 Hosted by: National Centre for Cleaner Technologies Production (NCCTP), Algeria. Parties served: Algeria, Egypt, Libya, Mali, Mauritania, Morocco, Niger and Tunisia. Expertise: Environmental pollution control, Solid and hazardous waste management, promotion of environmental management system and cleaner production tools and techniques in industries.